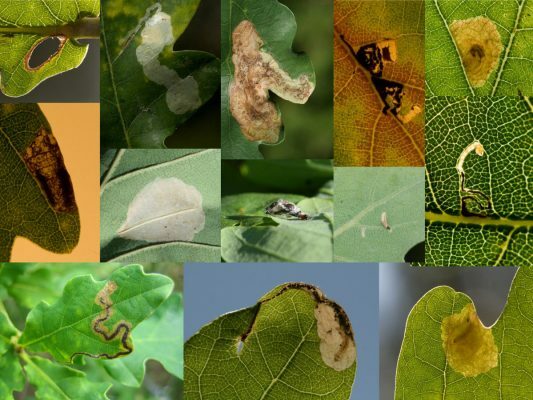 During my PhD, I (Ayco) fell in love with the leaf miners and gallers on oak trees, which have proofed to be an excellent study system for studies on the spatial ecology of multitrophic insect communities. It turned out that the microbial community on oak is as diverse, important and intriguing, and the white fluff on the oak leaves is a cryptic community of pathogen species, attacked themselves by fungal hyperparasites. We are now interested in the interactions between the insect and microbial food webs, and how climate may influence these interactions. For this, we have reared tens of thousands of insects, sequenced thousands of microbial samples, and conducted field heating experiments. Since 2003, a group of scientists and fieldworkers travels to the island of Wattkast in southwestern Finland each autumn, to search through a zillion leaves in search of leaf miners, gallers and powdery mildew on a subset of the c. 2000 oak trees on the islands. 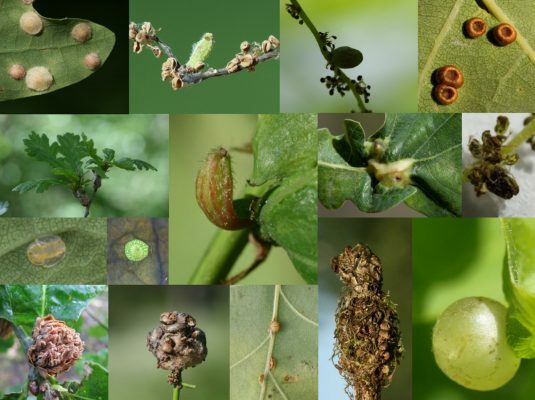 This unique long-term and spatially explicit survey of the oak-associated insects and microbes has provided great insights in natural metacommunity dynamics, placed experimental findings into context, and continues to stimulate new, field-based questions.